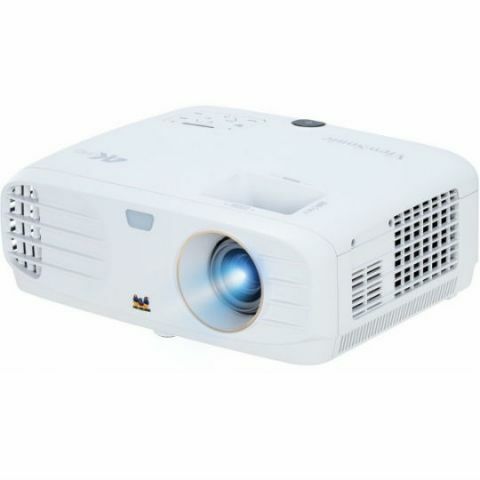 The projector comes equipped with 3500 ANSI Lumens which allows for clear, detailed images which means users need not turn off the lights while watching content through the device. ViewSonic Corporation has launched a PX747-4K projector in India for Rs 275,000, that delivers a big screen experience and high detail images for home entertainment. With 4K UHD resolution, the most noticeable benefits are the enhanced clarity and increased detail that come along with a resolution four times that of Full HD, the company said in a statement. "We are excited to launch the world's brightest 4K UHD projector, this projector has been designed especially for the users who enjoy and understand the ultimate big screen experience in their living room," said Muneer Ahmad, Business Head, ViewSonic India. The addition of HDR and Rec. 2020 compatibility along with 4K UHD allow enhancements to colour and contrast to produce true-to-life pictures. It houses dual HDMI ports and HDCP2.2 support and is bundled with a backlit remote control for convenient projector operation. Dongles such as Google Chromecast and other TV sticks can be connected directly through the projector's USB ports for streaming media content. It can also act as a power supply for wireless devices. ViewSonic claimed that the lamp life on these projectors is rated at a lengthy 15,000 hours on average while in SuperEco Mode. The company said its projectors utilise XPR technology to display 8.3 million pixels onto the display surface, meeting Consumer Technology Association (CTA) standards for 4K UHD certification.